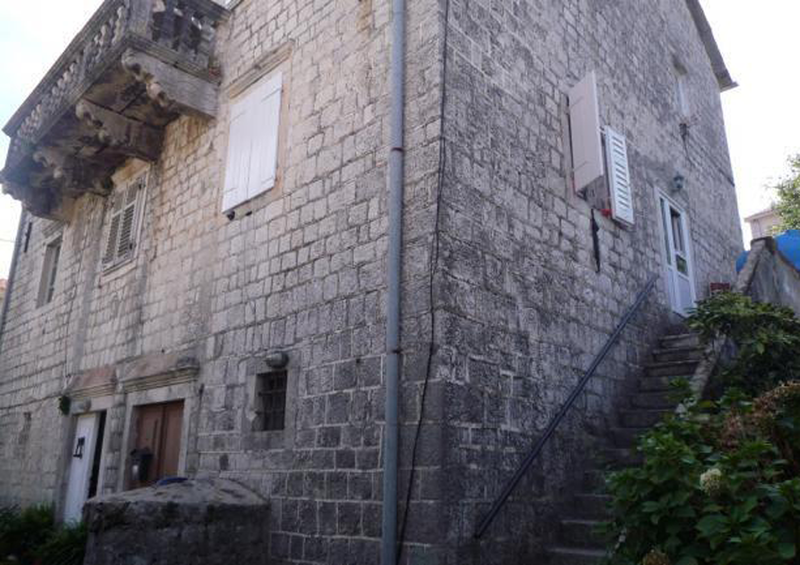 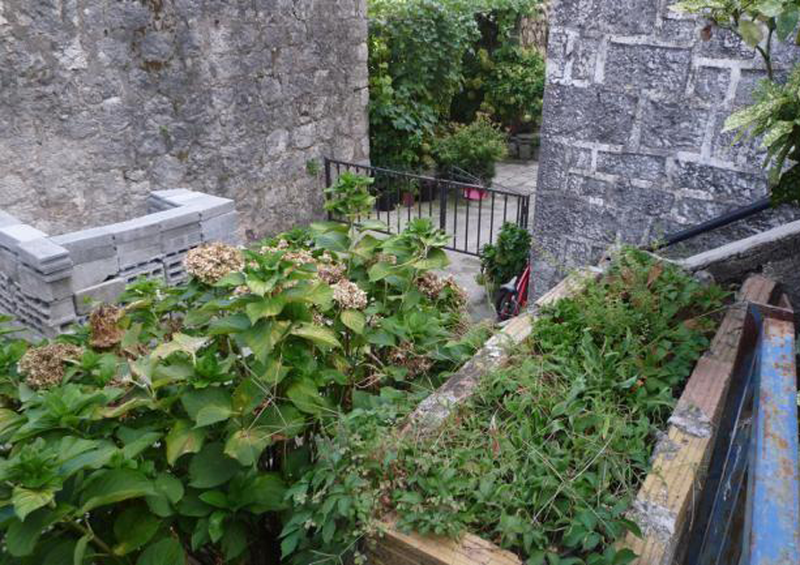 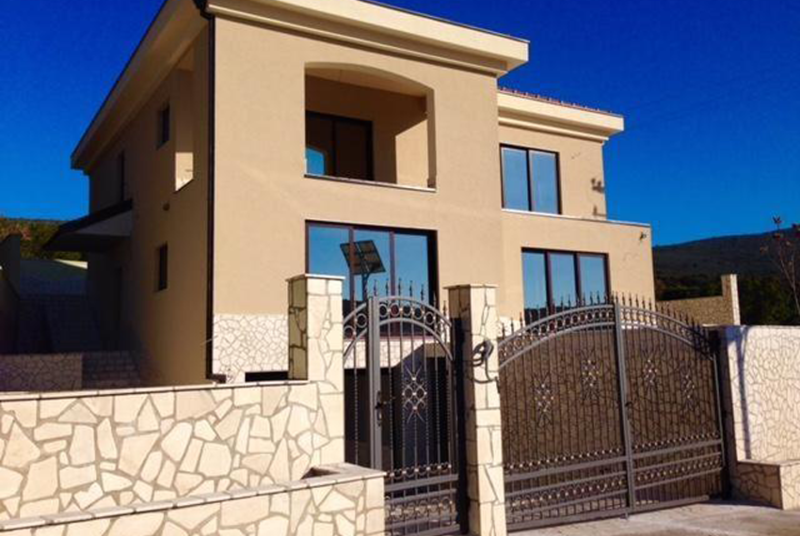 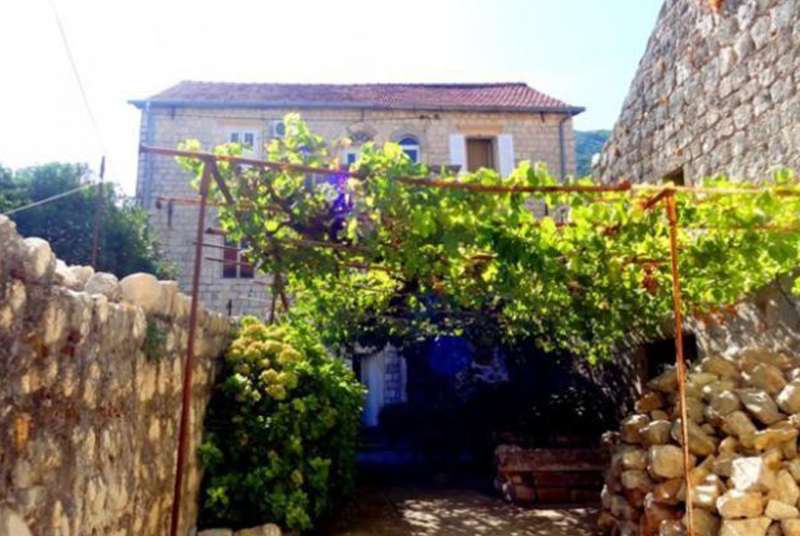 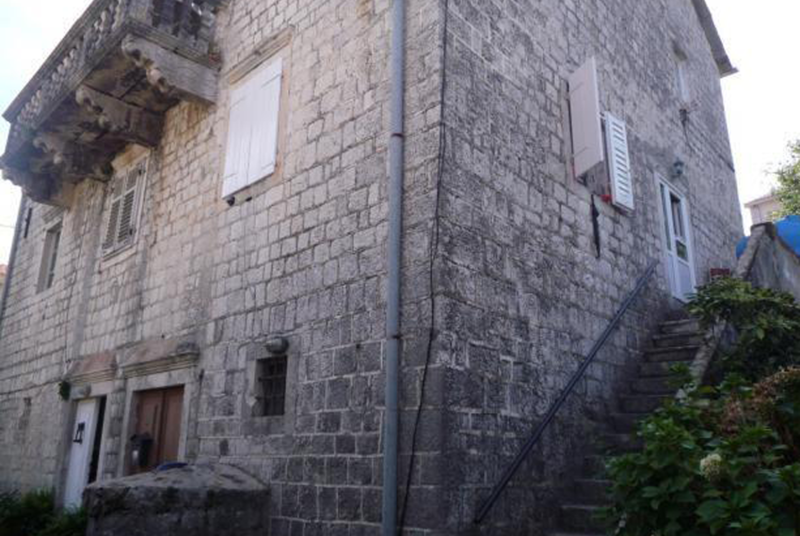 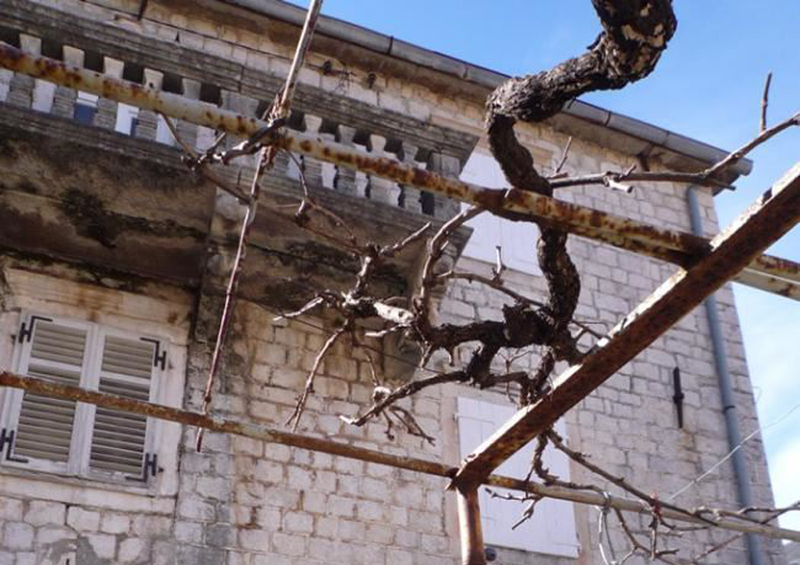 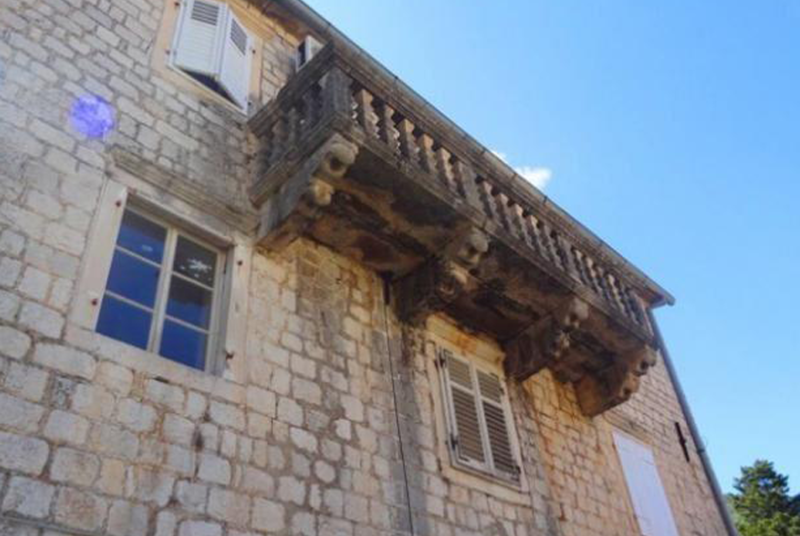 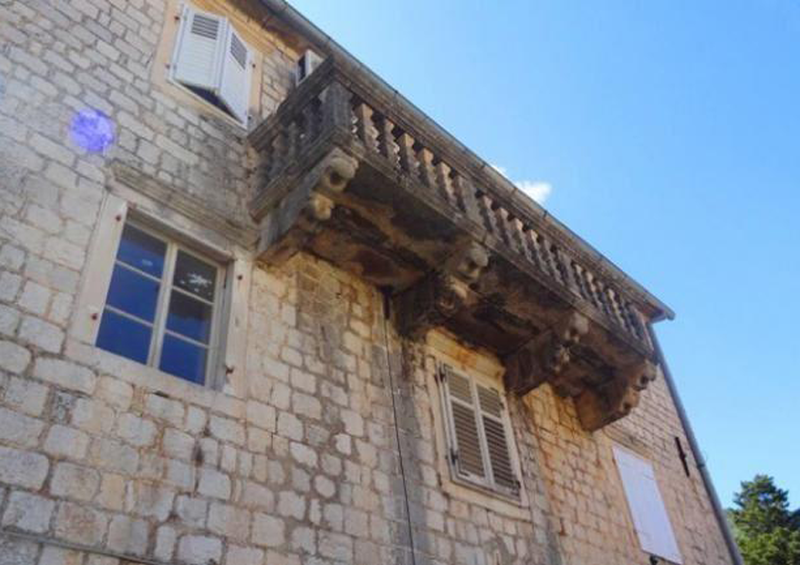 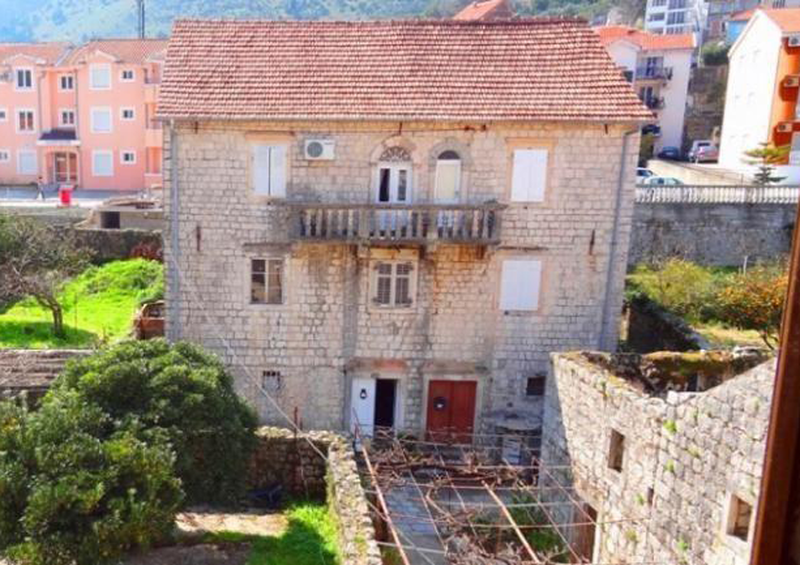 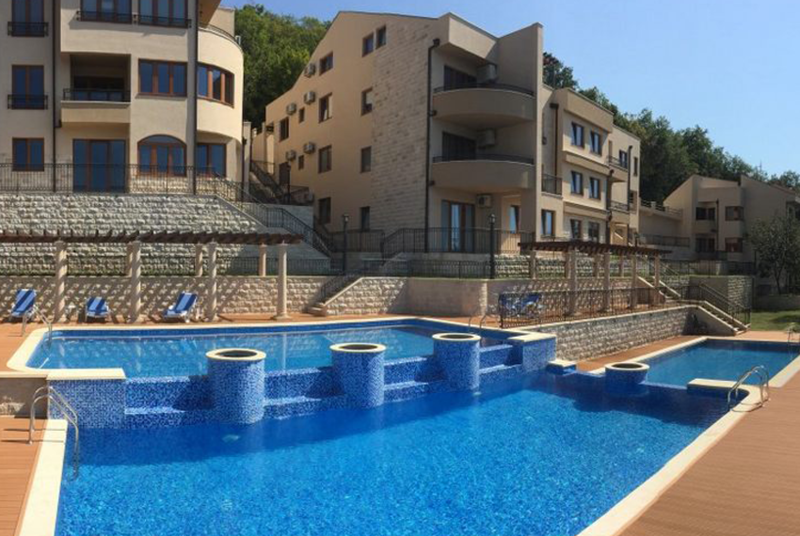 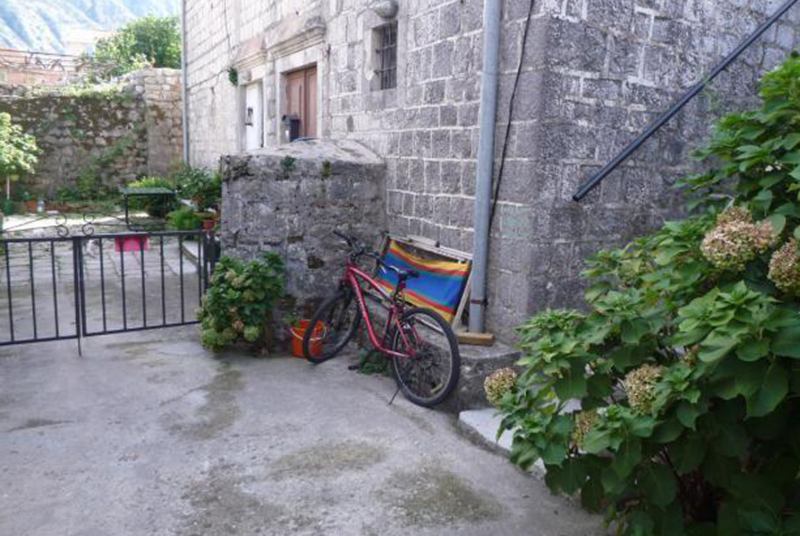 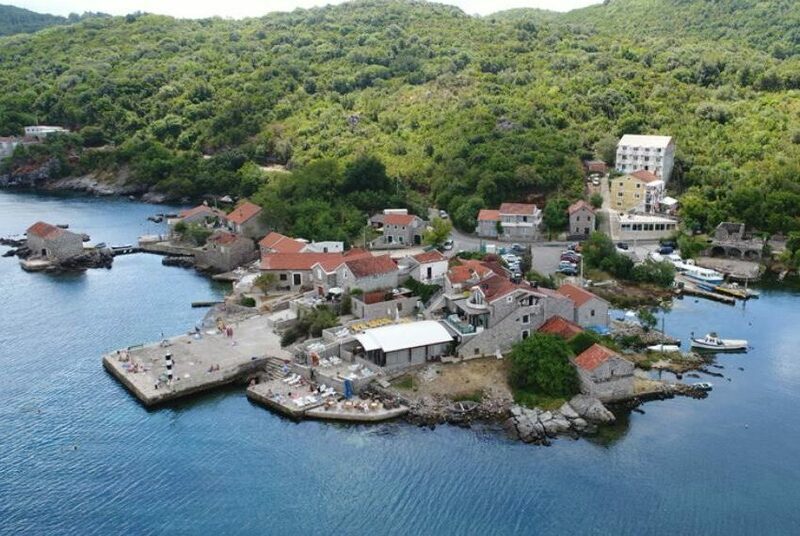 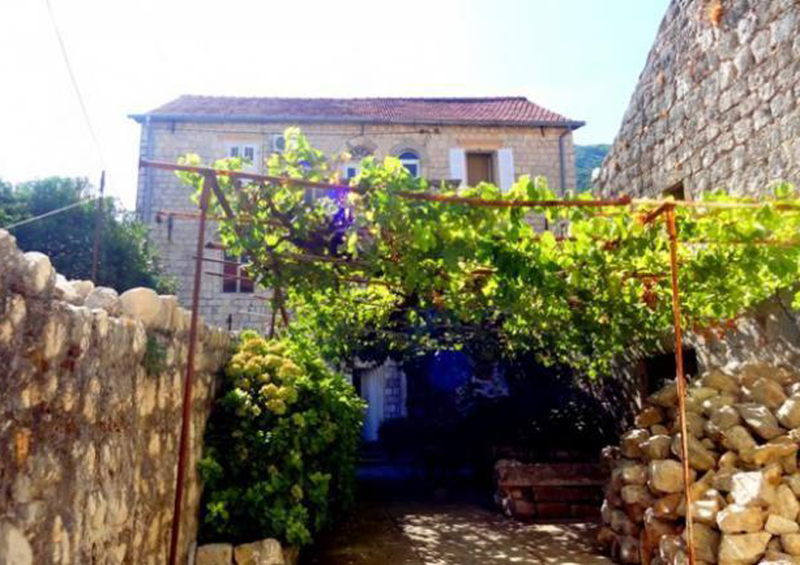 Perfectly positioned semi detached stone house for sale in fishing village of Prcanj, Kotor Bay. 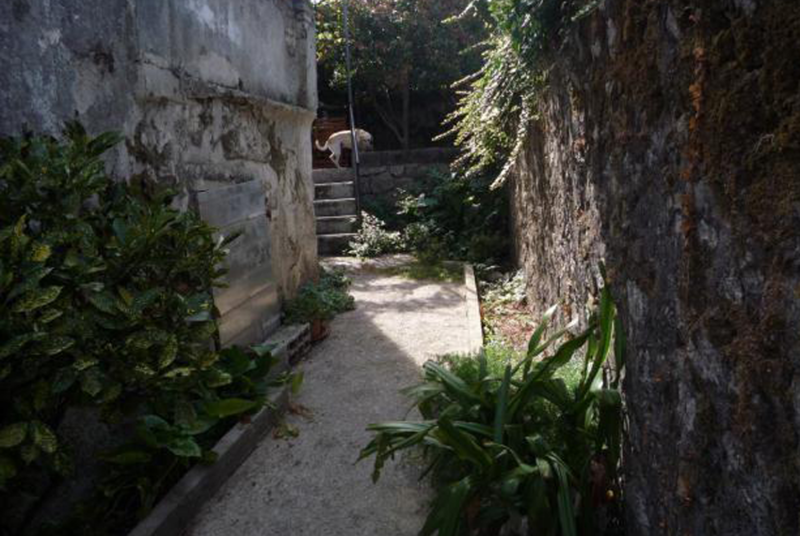 The property is located only 20m from the waterfront. 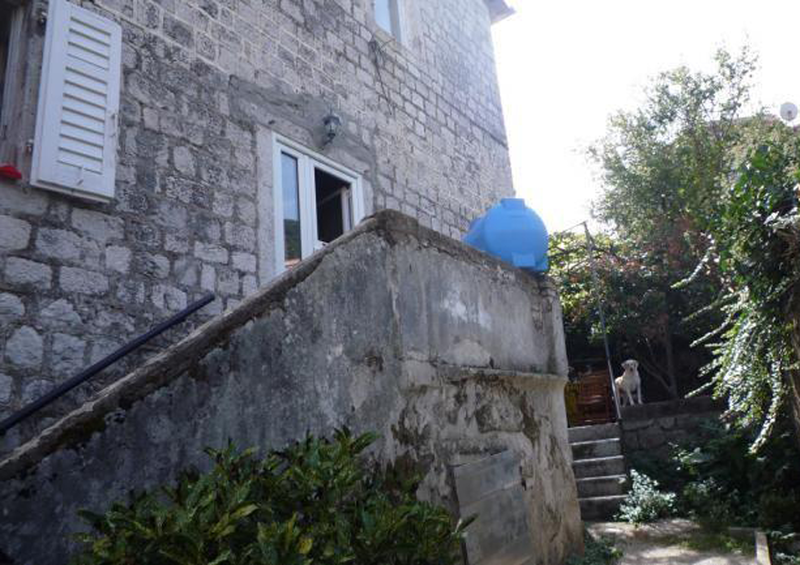 The property for sale is right half of the two centuries old stone villa. 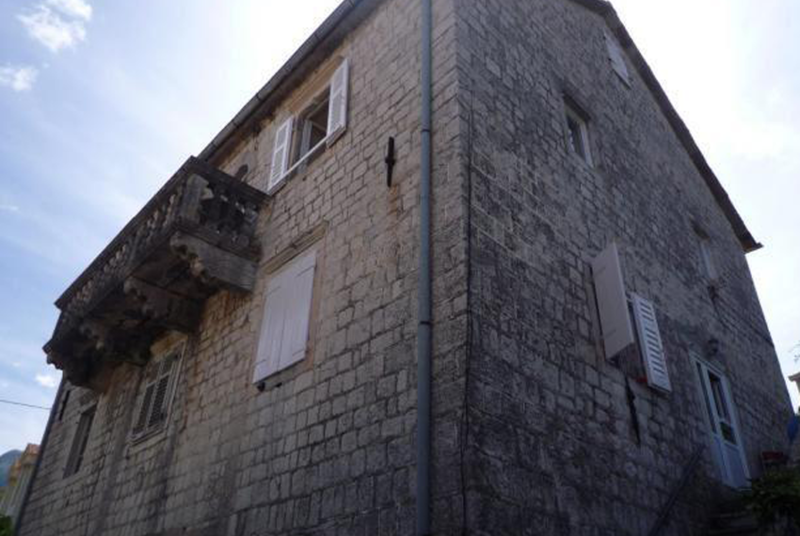 The property comprises app 200 sq m of living space over three levels, plus attic with high ceilings and thick walls. 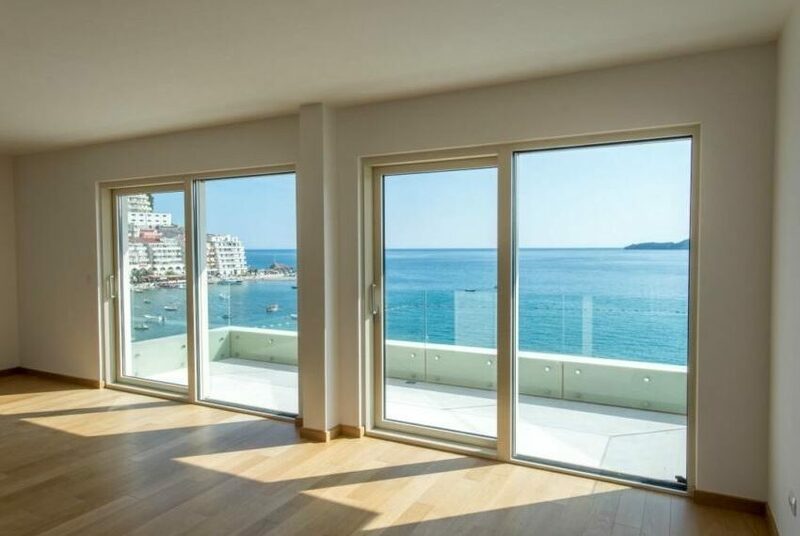 The first level spreads over 60m2 of space that can be used as a dining room or converted to a restaurant. 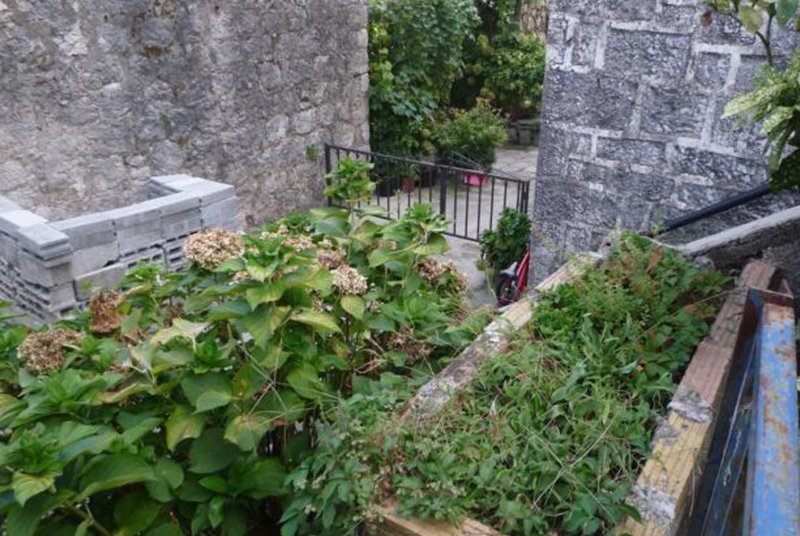 The second level features a living room, bedroom, kitchen, bathroom, storage and a big terrace covered in vine. 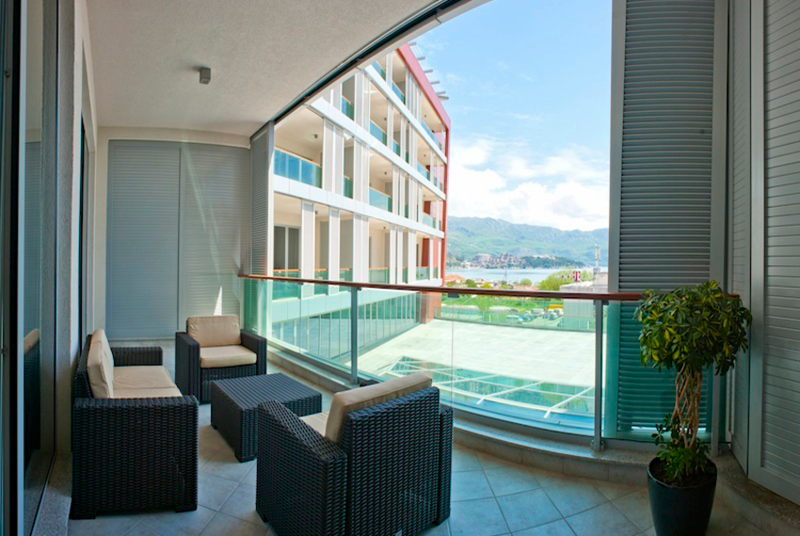 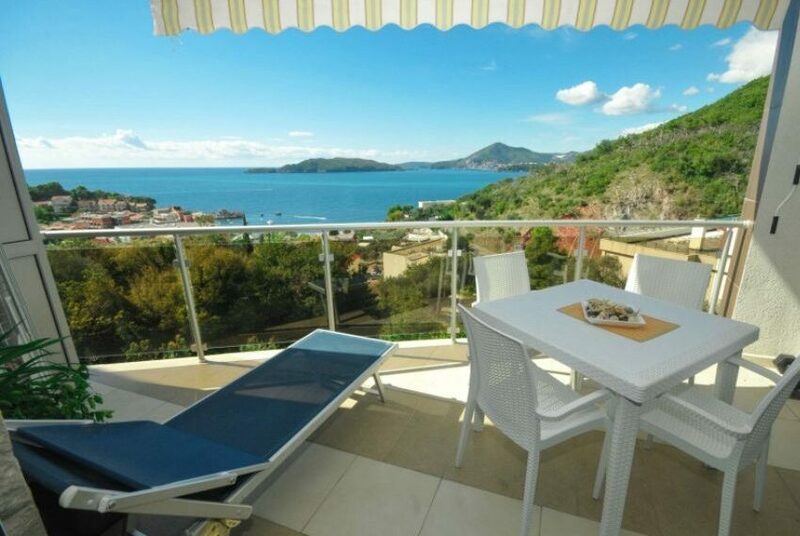 On the third level there are two bedrooms, kitchen, bathroom and baroque terrace with sea and mountains views. The attic occupies the fourth level. The size of the courtyard is 150 m2. 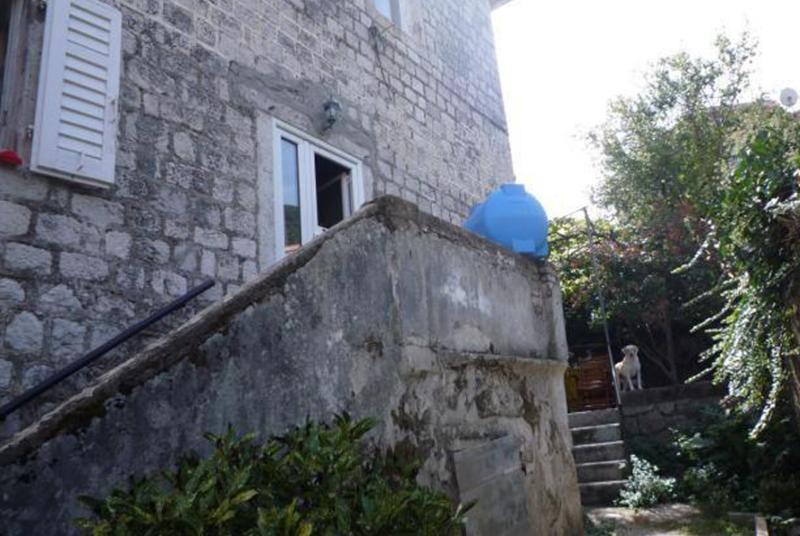 The house comes furnished and some renovation is required. 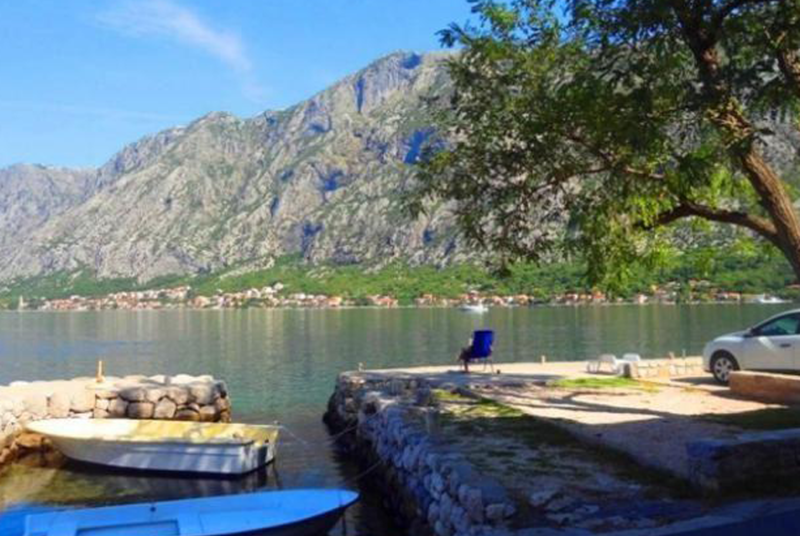 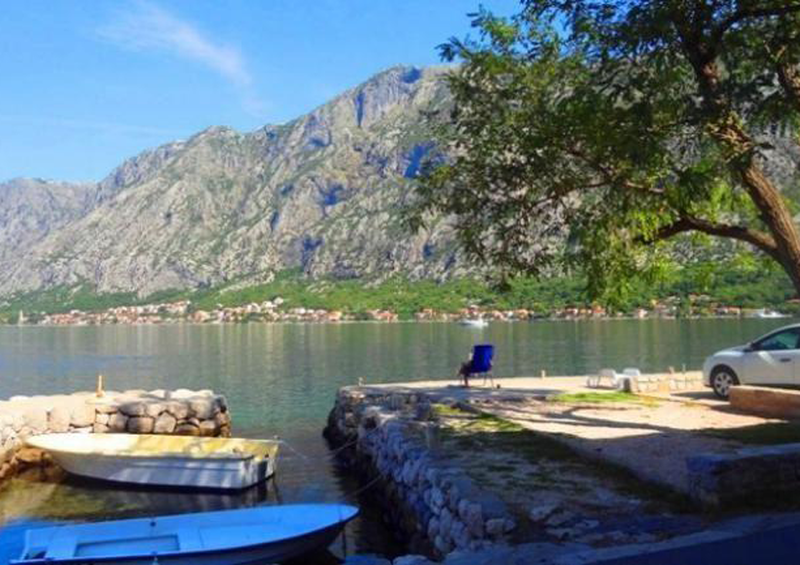 It is located approximately 3 km from Kotor old town.